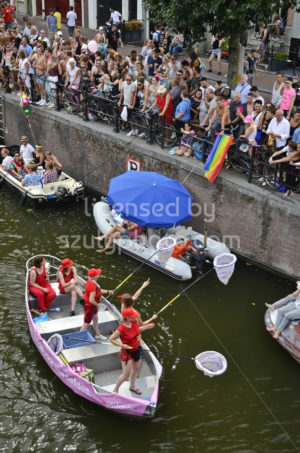 Amsterdam, Netherlands – August 4, 2018: The ADAM Toren boat cruising on the Prinsengracht canal. 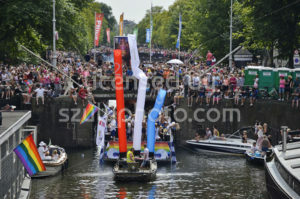 Spectators are on both side of the canal, at the time of the Pride boat parade. 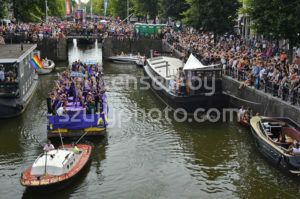 Amsterdam, Netherlands – August 4, 2018: The ADAM Toren boat cruising on the Prinsengracht canal. 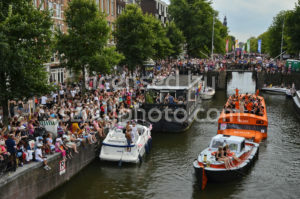 Spectators are watching from the banks of the canal, at the time of the Pride boat parade. 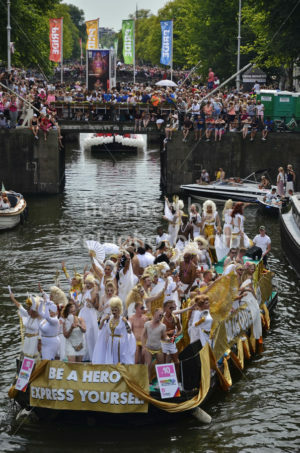 Amsterdam, Netherlands – August 4, 2018: The House of Heroes boat cruising on the Prinsengracht canal. 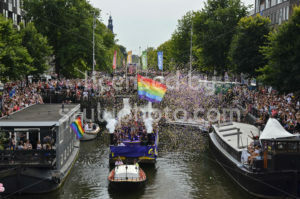 The photo was taken at the time of the Pride boat parade. 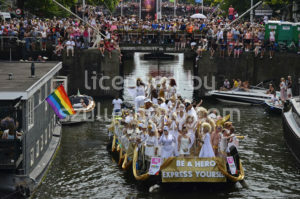 Amsterdam, Netherlands – August 4, 2018: The Choice Youth Pride boat is cruising on the Prinsengracht canal. 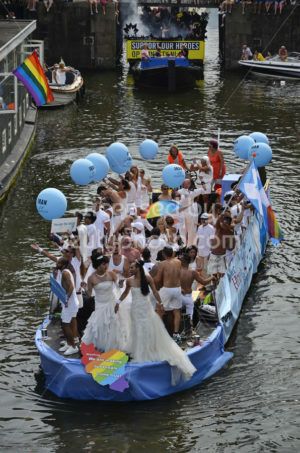 The photo was taken among spectators at the time of the Pride boat parade. 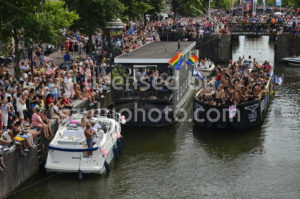 Amsterdam, Netherlands – August 4, 2018: Spectators along the Prinsengracht canal at the time of the Pride boat parade. 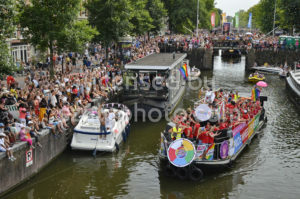 Amsterdam, Netherlands – August 4, 2018: The Bar de Regenboog boat is cruising on the Prinsengracht canal. 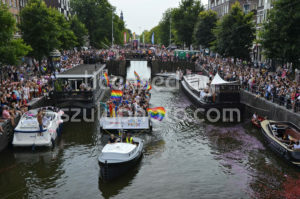 The photo was taken at the time of the Pride boat parade. 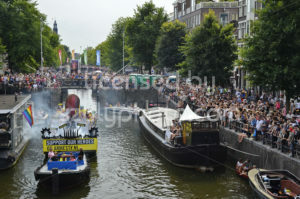 Amsterdam, Netherlands – August 4, 2018: Party boat cruising on the Prinsengracht canal among spectators. 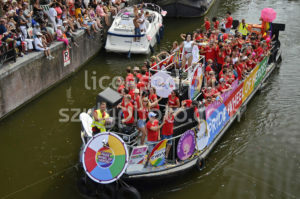 The photo was taken during the time of the Pride boat parade. 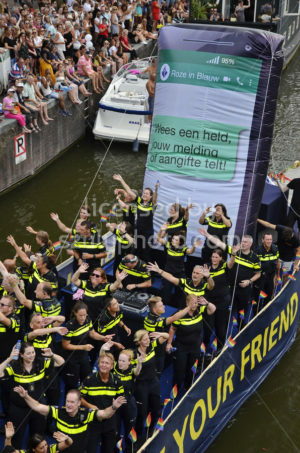 Amsterdam, Netherlands – August 4, 2018: The PWC boat, carrying a rainbow flag. 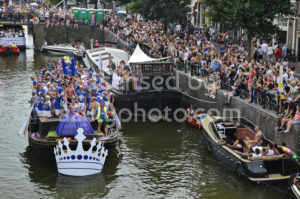 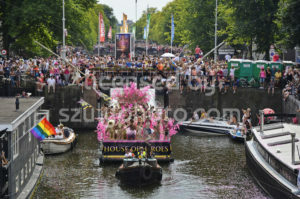 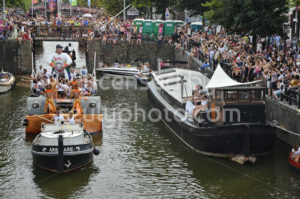 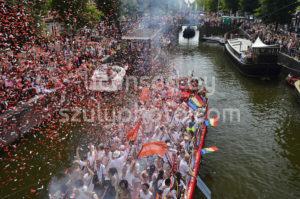 It is cruising on the Prinsengracht canal, among spectators at the time of the Pride boat parade. 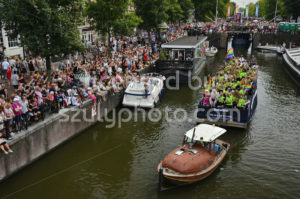 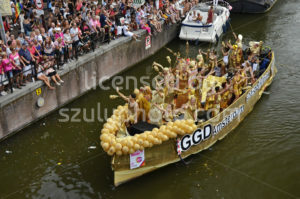 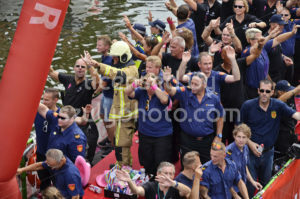 Amsterdam, Netherlands – August 4, 2018: The Stonewall 50 boat on the Prinsengracht canal among spectators. 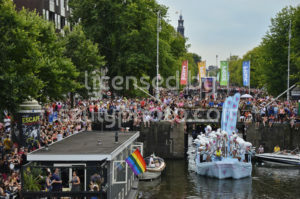 The boat is part of the convoy of the Pride boat parade. 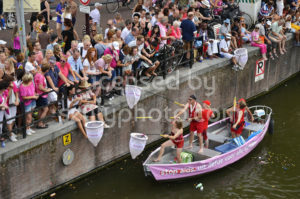 Amsterdam, Netherlands – August 4, 2018: The Mister B boat on the Prinsengracht canal among spectators. 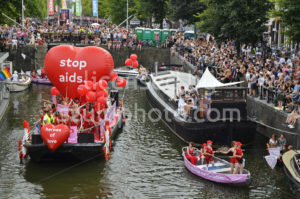 The shot was taken at the time of the Pride boat parade. 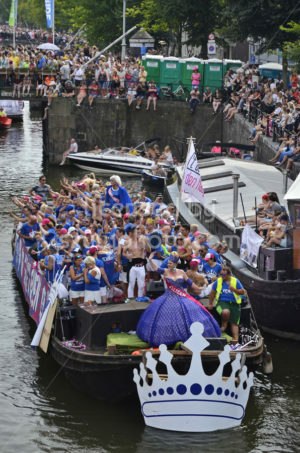 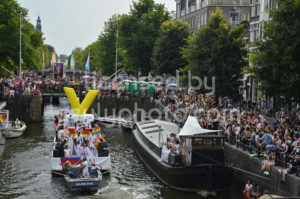 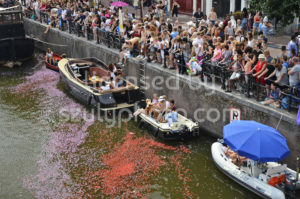 Amsterdam, Netherlands – August 4, 2018: The Iran Pride boat approaching on the Prinsengracht canal, among spectators at the time of the boat parade.